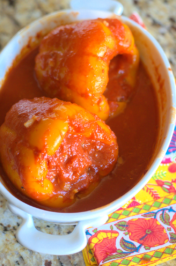 This is seriously one of my most favorite dishes my grandmother would make. Over the years, it has just become such a comfort food for me. Hence when I don’t feel like going out to eat or dealing with people this is my go to dish. Therefore Italian Goulash is what she called it. Goulash has many forms from stewed beef in paprika to the versions I am used to with ground beef or even stew beef or pork for the more traditional Italian versions. 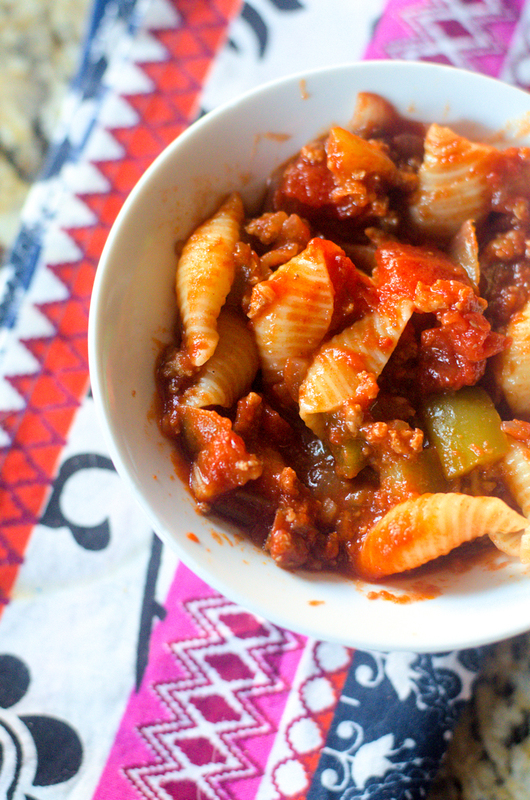 Additionally, this version of goulash is made with bell peppers, ground beef, onion, and stewed tomatoes. 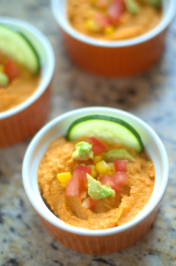 Hence it’s super easy and comes together in under thirty minutes in kitchen. Above all not to bad for comfort food which usually is at least an hour. Certainly, the sauce is easy to make with a few canned items along with fresh vegetables and garlic. You can do the sauce in a slow cooker if you prefer but honestly, I like to cut down on the electric bill and just whip it up on the stove. I remember being a kid and coming home into the house to smell that my grandmother was making this. She after all raised me. I would get so excited that we were going to have goulash and garlic bread. Goulash usually meant we were going to sit in the living room while watching some movie on TV. Just comfort food and movie which is still today one of my favorite things on earth. Do you have a family goulash or maybe a comfort food you like to enjoy? I’d love to hear about it or maybe you can share the recipe here with us in the comments. 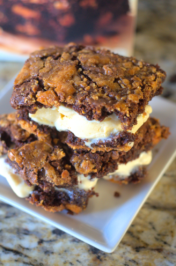 I love new recipes because they can change up something old every time. 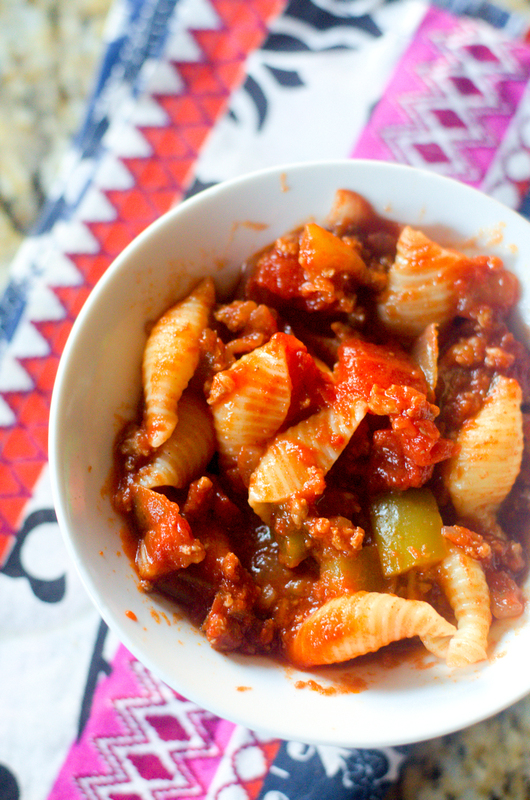 I hope you get a chance to enjoy this Italian Goulash. 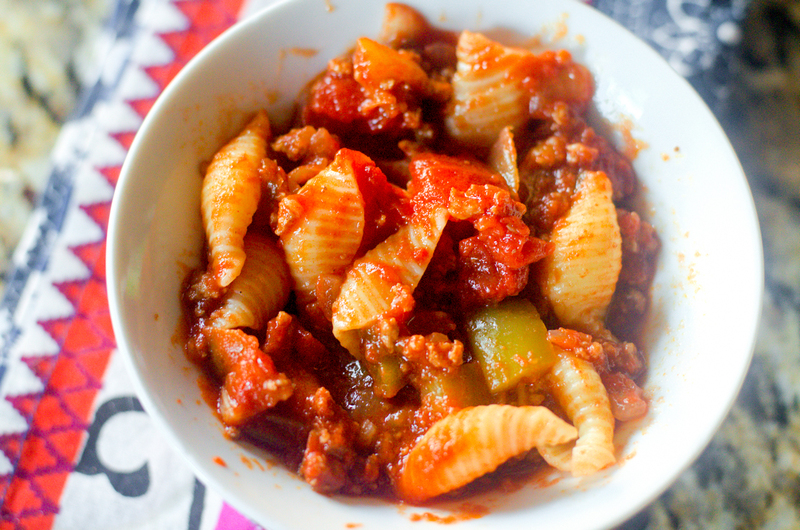 This version of Italian goulash is made with bell peppers, ground beef, onion, and stewed tomatoes. In a large sauce pot add in your chopped onions, peppers, garlic, and one tablespoon olive oil. Saute for about 2 minutes. Add a little salt and then add in your ground beef. Stirring frequently, breaking up your meat while browning. Once your meat is browned add in paprika and Worcester sauce. Then add in your four cans of stewed tomatoes and large can of tomato sauce. Bring to a low boil then reduce to a simmer. Fill a large pot with water and one tablespoon olive oil. Salt your water. Bring to a boil. 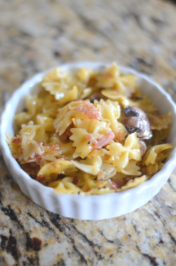 Drop in pasta and cook until done or as directed on box. Strain. Mix pasta with sauce. Serve. I am currently making this recipe but I did 1 Ib ground turkey & 1Ib ground sausage. I am currently waiting for the noodles to finish cooking before I add them to the meaty deliciousness! I CANT STOP tasting the sauce it is freaking delicious!!! Glad you like the sauce! Let me know how it came out.